Just a stone’s throw outside of Stockholm in an unassuming building sits the headquarters of MIPS, one of the most important brain safety pioneers in the world that you’ve might or might not heard of. 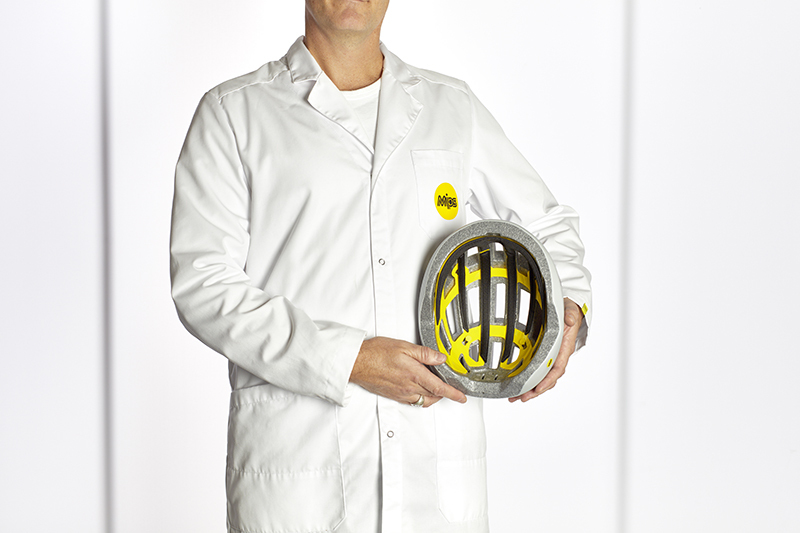 Recognised by the distinctive yellow dot on their many partner products, MIPS have been quietly leading the way in the development of brain protection systems for over 20 years, bringing ground-breaking technology and neuroscience together to significantly improve brain protection in all types of helmets. Whether horse riding, cycling, skiing or riding a motorcycle, there’s a MIPS equipped option to raise the safety bar. The MIPS story began in 1996 with Swedish neurosurgeon Hans von Holst. Working together with Peter Halldin of the Swedish Royal Institute of Technology, their goal was to reach new levels of protection against rotational motion trauma having discovered that although rotational force head injuries were by far the most common, they were the least researched and catered for in protection systems. The 20+ years of research and development work that leads to today has resulted in industry leading brain protection systems that work by providing a small relative motion (10-15mm) between two friction layers. These innovative systems, now known as MIPS – Multi-directional Impact Protection System, reduce the rotational motion to the brain during impact and so can help reduce strain to the brain. It’s no surprise that premium global brands such as Specialized now have MIPS included in every single product in their helmet range. Next time you watch the Tour de France, consider that at least half the Peloton will have MIPS protection. That doesn’t mean this science is aimed at just top levels of sport though, children cycling to school, commuters riding their motorbikes to work, skiers on a winter break and mountain bikers out for a ride can all consider MIPS equipped safety head gear to make their fun as safe as possible. At this time, an incredible 80% of the world’s leading helmet brands, over 60 manufacturers, have sold nearly 5.5 million MIPS equipped units. With this number increasing all the time and more and more brands choosing to partner with MIPS, the message is helping to inform consumers that there really is no excuse for not choosing the best possible protection for the brain! “23 years on in the journey that Hans von Holst and Peter Halldin started together in 1996 and MIPS is more committed than ever to reducing the risk of brain injuries. We are working every day to expand how our technology can integrate with all kinds of helmets, regardless of the sport or activity. Our mission is clear; to help keep as many people as possible at a lower risk of brain injuries,” comments Johan Thiel, CEO of MIPS. The company’s headquarters, with 26 employees in research and development, sales, marketing and administration is located in Stockholm together with the test facility.